Hello everyone! I'm posting over at Twine It Up! with Trendy Twine and I made a fun purse card to show you today. I used Strawberry Cupcake Trendy Twine, the Smile Stamp Set, You've Got Mail Stamp Set, and a few Raspberry Cupcake Sequins. The card was a ready to make card in my Cricut Design Space. Sometimes I like to look through there for some fun projects and this one was so cute! It was supposed to use a Hello Kitty cut that I didn't own, but I just substituted one that I did own. This is a purse shape and called for a snap to close it and a chain for the handle. I couldn't find a snap to work so I used a few Raspberry Cupcake Sequins to add to the top for a button look. 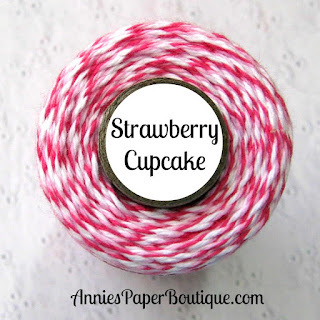 And I wanted to use my Strawberry Cupcake Trendy Twine for the handle. The instructions said to pop dot the Hello Kitty on the front. That was a little boring so I glued my twine around the outside of the purse and then added a small banner die cut with the Hello from the Smile set. The design included and envelope which I did cut out and stamped the Happy Mail from the You've Got Mail Stamp set. This was fun to make and I hope you have a great day! In my 'treat' boxes, I put make-up highlighters -- this is my daughter's favorite kind of 'treat'. She just loves make-up! Before assembling them, I used the hearts from the You & Me Planner Stamps and stamped the hearts on all sides of the window using a neutral ink. 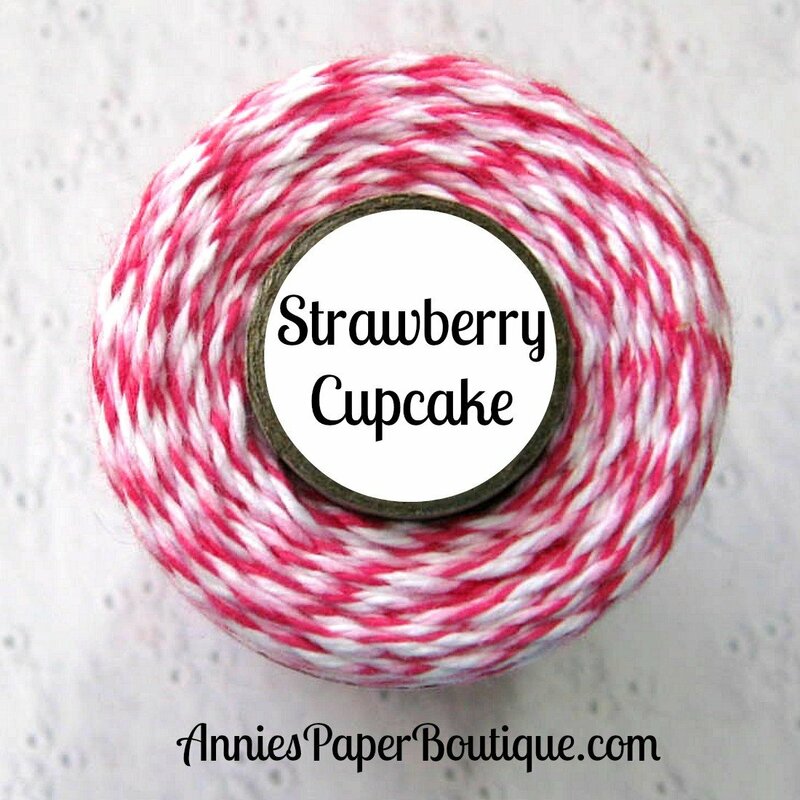 I put the highlighter in the box and wrapped my Strawberry Cupcake Trendy Twine around both ways to make a cute package. Then I stamped my White Metal Rim Tags with two sentiments from the You & Me Planner Stamps and tied my bow. I did add a sequin to each tag from the Raspberry Cupcake Sequin Mix.